Many become glued to their television sets when they watch the popular “CSI,” an American TV series which shows details of how forensic scientists unveil the mysteries behind unusual deaths and crimes. In the Philippines, science journalists recently visited the Philippine National Police (PNP) Crime Laboratory in Camp Crame and took a look at how the local “CSI” experts are solving crimes. But wait. One might ask: “What are science journalists doing in a crime laboratory?” “Isn’t a police crime lab only a territory for police reporters?” another might add. Solving crimes or forensics is a science which uses scientific tests or techniques in the investigation of crimes. “Forensicm” Wikipedia says, comes from the Latin word “forensis” meaning forum. During the time of the Romans, a criminal charge meant presenting the case before a group of public individuals. Both the person accused of the crime and the accuser would give speeches based on their side of the story. The individual with the best argumentation and delivery would determine the outcome of the case. In other words, the person with the best forensic skills would win. It should be noted that almost all aspects of our lives nowadays are developed by advances in science—from food development through biotechnology, to medical products and equipment, to beauty products, to environment and to solving crimes. In this case, all journalists—including police reporters, and not only science journalists—become involved in reporting stories that concern the application of science and technology. To stress this point, the PNP Crime Lab manpower is composed of medical doctors, chemists, biologists, pharmacists, among others, with particular line of expertise, and underwent trainings in the country and abroad. As one of the crime lab experts said: “If the law has made you a witness, remain a man of science,” because it is only through science where truth and justice prevails in a crime. Ranking officers who head the different divisions of the PNP Crime Lab took turns in briefing the visiting science journalists from the Philippine Science Journalists Association Inc. (PSciJourn) on the operations of this vital branch of the national police. The Fingerprint Lab, which is the oldest division dating back in 1945 under the former Philippine Constabulary Criminal Investigation Service (PC-CIS), is one of the busiest divisions in the crime lab. Besides fingerprinting suspected criminals, the division also gives lectures and provides the military and police schools with fingerprint experts. Supt. Arturo Cacdac Jr. said the Automated Fingerprint Identification System (Afis) matches the fingerprints of suspects with evidences collected. It is currently collating the fingerprint data of people involved in criminal cases. He revealed a five-year program to set up provincial crime lab units together with 26 drug testing centers. The PNP inaugurated this year the new crime labs in Rizal and Laguna. Six more are planned this year, 10 next year, nine in 2009, six in 2010 and six more in 2011. Cacdac also mentioned a proposed construction of a forensics building in Camp Crame. He even joked that the Fingerprint Division people are crossing their fingers that the forensics building would come soon enough. The Chemistry Division, headed by PCI Grace Eustaquio, determines if the suspect or victim has alcohol, poison or any toxic material in the body. It also analyzes the chemical content of exploded bombs. The PNP-NCR’s two analog and one digital machines are able to take the tests within about 30 minutes and release the results within 24 hours at 98 percent to 99 accuracy. A person suffering from hypertension are also advised against going through a lie-detector test because it would be difficult to read the person’s blood pressure. The DNA Division’s top man is PCI Francisco Supe, a doctor of medicine who has undergone extensive trainings in the field. The Medico-Legal Division is in charge of identification of corpses through the use of DNA, autopsy and dental identification, among others. Tampered serial numbers, bullets, shoe and footprints, cartridges or test firing of arms of different caliber are examined by the Physical Evidence Identification Division. The Questioned Documents Division examines handwritings and signatures, tampered documents and fake bills, among others. A team of experts in medico-legal, fingerprint and DNA, among others, from the crime lab have successfully identified victims of natural disasters, where corpses are too many and in advanced state of decomposition. Do you have some statistics about how reliable or how fingerprinting helped in crime solving (it has accurately identified the culprit, it had aided in the deliverance of justice through court –fingerprint is the main evidence of the case? Dactyloscopy is an exact science so I can assure you that its application is solving crimes is quite accurate and reliable at that. We in the Crime Laboratory have what is called AFIS or Automated Fingerprint Identification System where in all available fingerprints in the possession of PNP are stored, so it is like a fingerprint bank. Once a questioned prints are lifted and developed,it is compared with the fingerprints stored in the system and once matched its is 100% scientifically acceptable and made as a reliable physical evidence once the case has filled in court. in some other local area in the Philippines, how could they solve major problems in investigating crimes if they are lack of equipment to be used in their investigation. hi po, i just want to ask if you are accepting students for an on-the-job training program? Yes, if you’re a criminology student from a college or university with an existing MOA with Crime Laboratory. Good afternoon po, just want to ask po kung anong dapat gawin if magrerequest mag-undergo ng polygraph test sa crame? May babayaran po kaya? Could some chemistry students join the team for their OJT? gud am… jst want to ask if may vacant item po tayo ngayon dyan sa crimelab for forensic investigator? m a criminologist. Crime Laboratory normally has its own quota for police recruits preferably a licensed criminologist. Unfortunately for the past years, we don’t have quota. Kindly share your expertise to us in the academe by conducting training or short courses in Forensic Science. Please invite us if you have these kind of activities in order to uplift or enhance the capability of Teachers in this kind of profession. thank you very much. We hope to hear a favorable action on this. You may request for a seminar in your school and invite forensic expert as resource person/s or speakers from the Crime Laboratory, Camp Crame, Quezon City addressed your request to the Director of Crime Laboratory. May i ask if you have program on fingerprinting for non-uniform personnel. I am interesting to learn this process of investigation. here frequently. I am quite sure I will be told many new stuff proper here! Hi there to every body, it’s my first go to see of this weblog; this web site includes amazing and really good information in support of readers. cool you off from those hormones flashes rushing through your body. reduce mucus, improve circulation, and keep the skin clear of blemishes. Knowing which can do what to you can save you a lot of agony down the road. Hello, i believe that i saw you visited my website so i came to go back the prefer? .I am trying to find issues to improve my site! if your beat maker software won’t work on your computer. For this level, budgeted factory overhead costs are determined as follows:. So be cautious in your choice of dealers and stick to those which have established their credibility in the industry so you will not be victimized by hoaxes. look up the history of my favourite, childhood tune. “The Sumerians were a non-Semitic, non-Indo-European people who lived in southern Babylonia from 4000-3000 B.
unknown, however developers continue add them in to their games. and these consoles as if you didn’t know, are in stiff competition with the increasingly popular Nintendo Wii. Over the Over the course of the game, CJ gradually unravels the plot behind his mother’s murder while reestablishing his gang and exploring his own business ventures. The science of solving crimes | PSciJourn. these remarks come across like they are left by brain dead people? I’d like to follow everything new you have to post. Could you make a list of all of your social pages like your linkedin profile, Facebook page or twitter feed? other Sims 3 mods, check them out. It is an entry level phone with exciting music features. If you have good time to spend with PC then this is the good method. data. When someone asks for your books, send it across to them. his word, and a luxury home builder who stands behind his work. Help you make social connections and long-lasting friendships. But the problem is taking cover in places where you don’t want to. Hi there, I found your website by way of Google at the same time as looking for a comparable subject, your site came up, it seems to be good. I have bookmarked to my favourites|added to my bookmarks. Magnificent site. A lot of helpful information here. I’m sending it to several friends ans also sharing in delicious. And certainly, thank you to your sweat! The science of solving crimes | PSciJourn”, will you mind in case I utilize some of ur points? 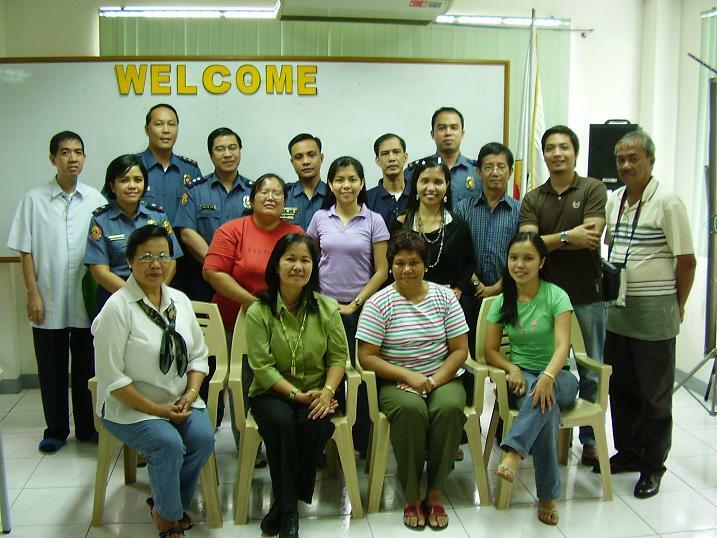 Thanks for the post for composing “PNP Crime Lab: The science of solving crimes | PSciJourn”. Thank you for other sorts of superb write-up. The place more may perhaps any one get that variety of information ordinary excellent way of writing? I have a powerpoint presentation in the near future, and i am at the seek out this kind of data. Do you accept OJT for students? I’m taking up biochemistry. Hello! How can I apply for a chemist position in that laboratory? i would like to ask if meron kayong free polygraph test. Meron kasing incident na ninakawan ako sa loob ng aking shop at may testigong nakakita sa kanya pero tumatanggi pa din ang suspek gusto ko lang sana itanong kung meron kayong free polygraph test or kung may bayad mag kano aabutin? I just wanna ask if is it possible that a Registered Medical Technologist can also apply for Forensic chemist officer. what divisions of crime laboratory that have data bases? How to be a S.O.C.O agent? !